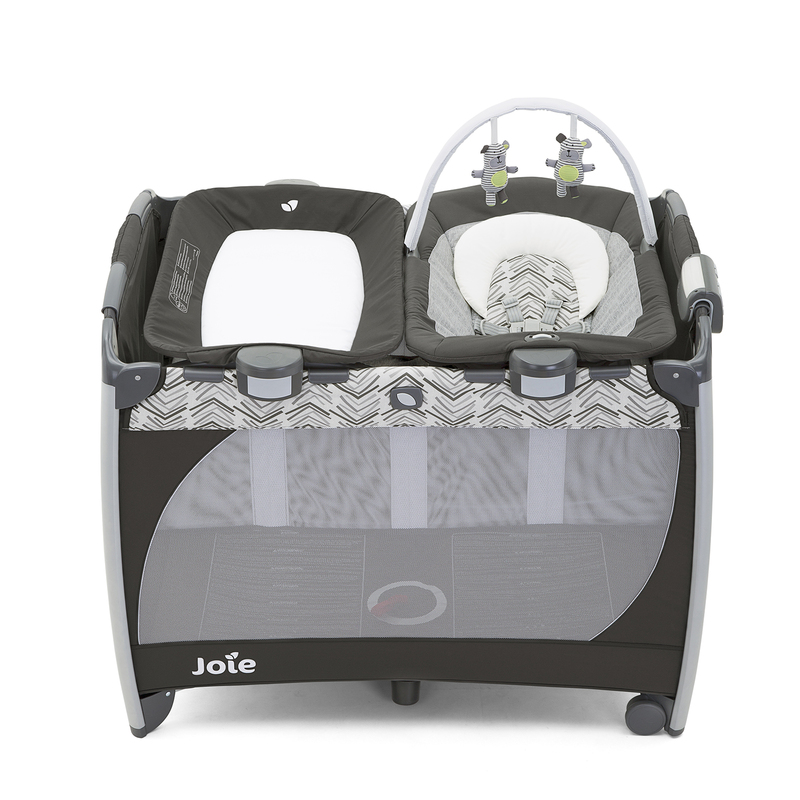 The Excursion Change & Bounce Travel Cot from Joie is designed to offer parents the functionality that they require whilst keeping their child safe and secure. The perfect solution at home or for when travelling. 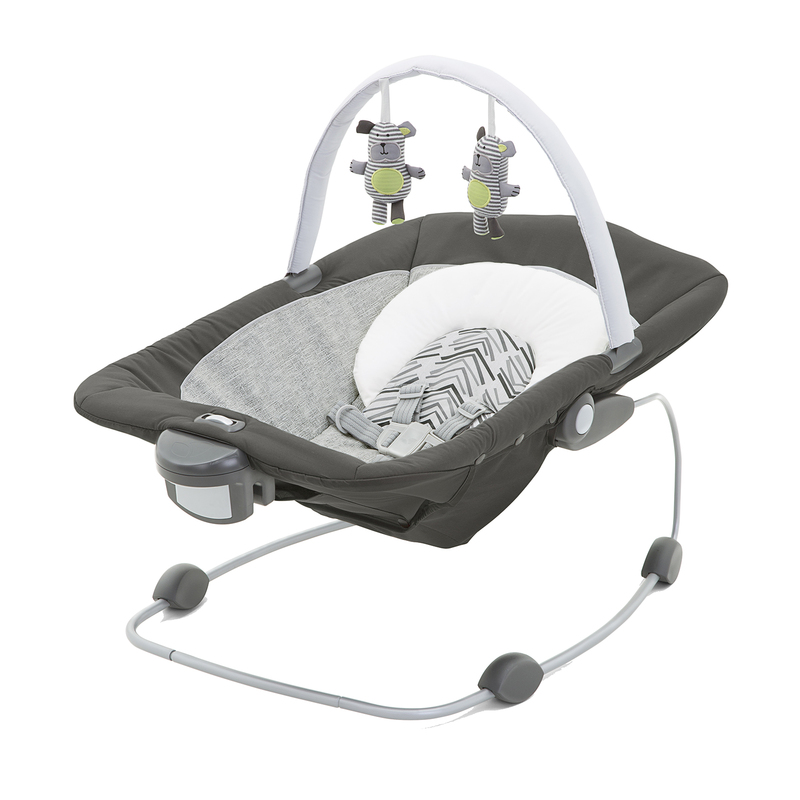 With a raised bassinet for use in the early months, baby is elevated to prevent back strain from having to bend low to pick them up. 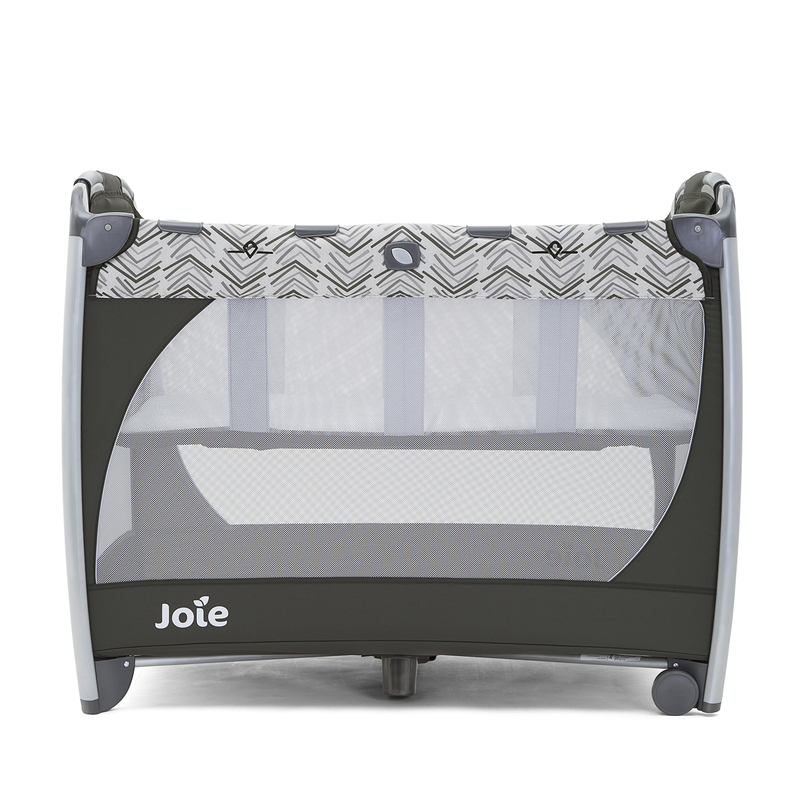 Once the bassinet is removed, the travel cot can be used until your child simply starts to climb out. 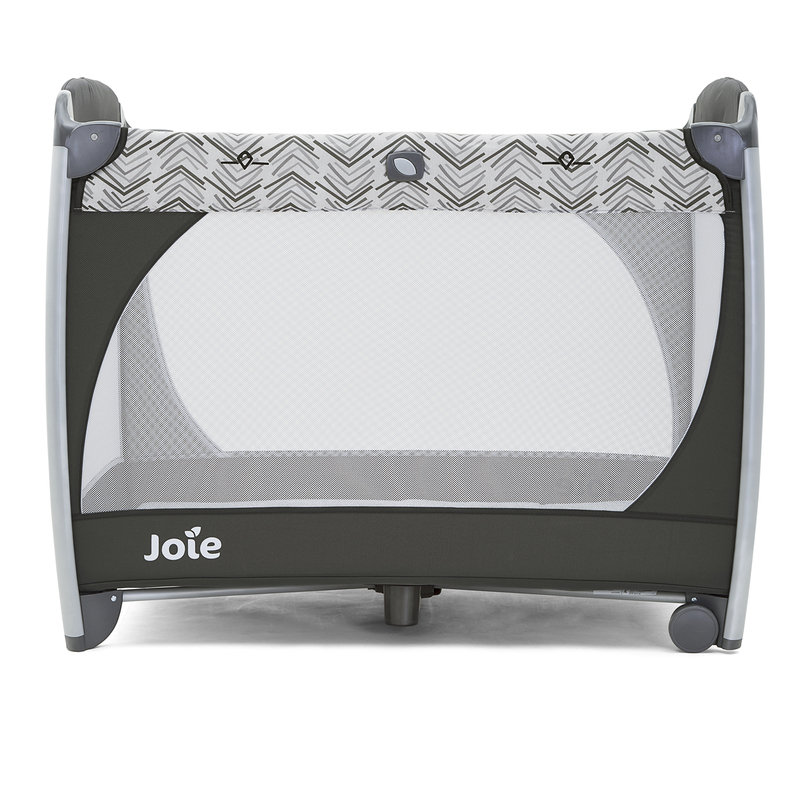 Utilising Joie's SecureClick system, the changing station and cradling snoozer seat (both included) can be clicked on or off in an instant, as can the sounds and lights module. 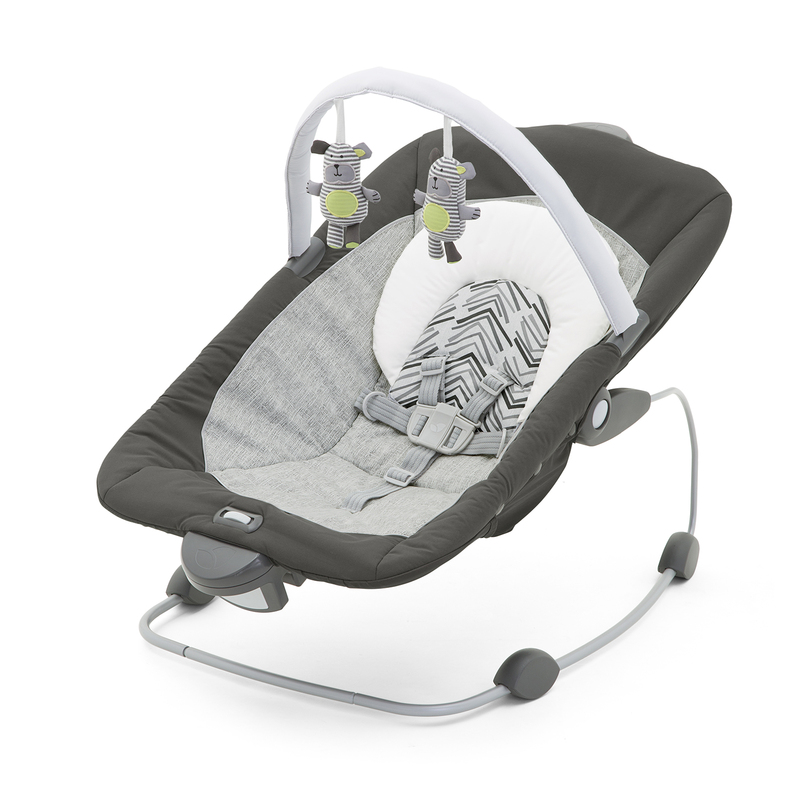 The snoozer seat includes hanging toys to stimulate baby and can also be used off the cot as a portable rocking unit! 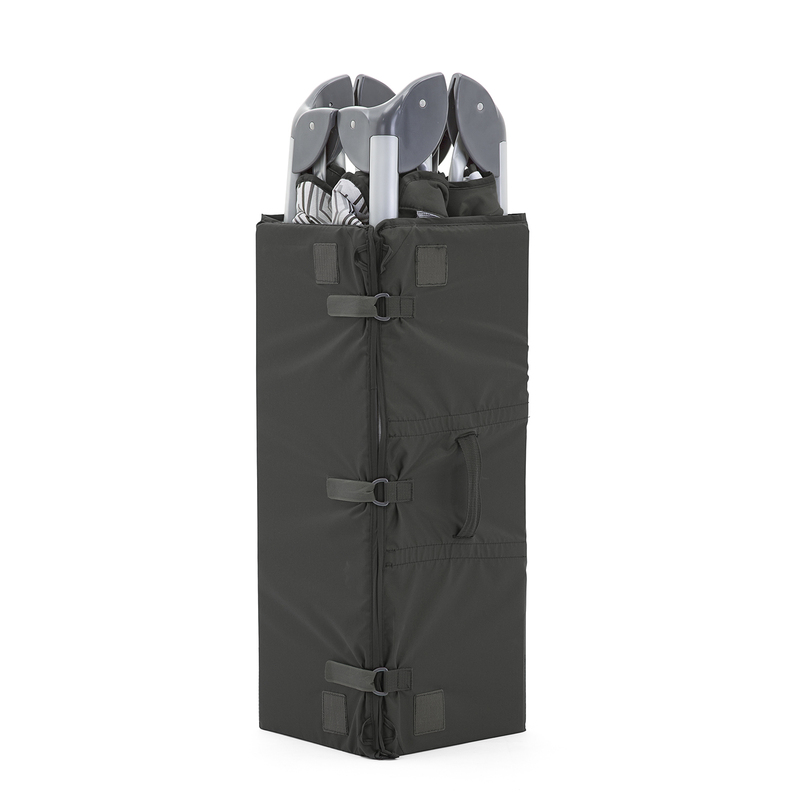 Quick and easy to set up and just as easy to fold down, the travel cot includes 2 integrated wheels for easy moving and also a travel bag for your parental convenience.